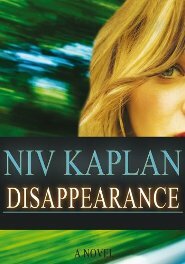 Disappearance, an espionage and mystery thriller by Niv Kaplan, is well written but swamps readers with an excess of characters and subplots. Karen Glass arrives as part of a group of Americans and Canadians high school graduates to volunteer at a kibbutz in northern Israel. Mikki Dotan, a young kibbutznik who has just received his army induction orders, is ready to make his move on the beautiful blonde American, but instead of taking advantage of her, he falls in love. Things are not exactly what they seem. Signs of a cover-up begin to surface. The car in which Karen was purportedly transported to the airport is found, and it is registered to a former Mossad agent. But then the car, a vital piece of evidence, vanishes. A police officer assigned to the case loses his life in a tragic car accident. The trail goes cold. Mikki enlists in the army and the years of his service go by quickly, although he cannot dismiss thoughts of Karen from his mind. “It suddenly dawned on him that in the last three and some years, life had gone on, and he was left behind.” Yet, even after all this time, there is renewed hope for new evidence surrounding Karen’s disappearance. Mikki is joined by others, and the hunt for the missing girl resumes. Disappearance by Niv Kaplan moves ahead at a fast pace, with twists and unexpected developments keeping the pages turning. Unfortunately readers are swamped by an excess of characters and details. Subplots keep popping up, even as the long novel nears its conclusion, leaving readers a bit confused who is working for whom. The story of the former Mossad agent is never satisfactorily explained, nor do we fully accept the odd scenario why Karen Glass had to disappear in the first place. 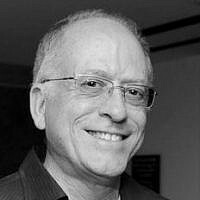 Born on Kibbutz Ayelet Hashahar, Niv Kaplan moved to New York City for three years but returned to Israel to serve in an IDF special forces reconnaissance outfit. He started writing Disappearance shortly after receiving a BSc degree in Business Development (Marketing) from California State University, Northridge. His second book, Tracks, was published earlier this month.